There are a number of models that immediately spring to mind when we think of full-size light-duty pickup trucks, and the Ford F-150 and Ram 1500 are certainly among them. Although full-size trucks outsell any other type of vehicle in the American market, the sales charts are dominated by a relatively small handful of models including the Ram and the Ford. It's not surprising then that today's crop of contenders are now better than they've ever been, so choosing between them can still be tough. So, if you're considering buying a new full-size, light-duty pickup truck here's our 2017 Ford F-150 vs. 2017 RAM 1500 comparison to help you decide which one of these two deserves your attention most. Before the current generation of the F-150 was launched a couple of years ago there was probably more to separate these two in terms of their exterior styling than perhaps there is today. Both trucks look as they should, which is big, brash and uncompromising with a hefty dose of macho thrown in for good measure. However, the design of the Ram is now starting to look a little dated, and it only gets worse for the Ram when you directly compare it to the 2017 Ford F-150. 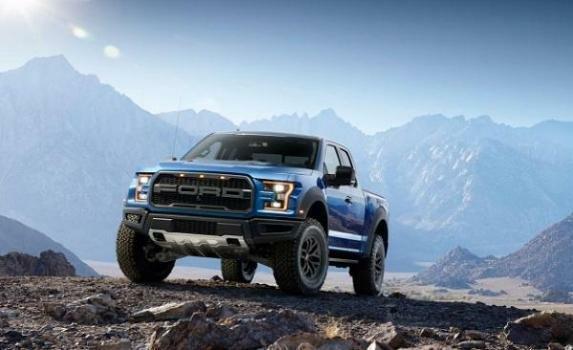 There's nothing particularly revolutionary about the way the F-150 looks despite its revolutionary aluminum body, but it's a decidedly more modern design than the Ram and if you were choosing on looks alone the Ford would be the clear winner for most. It won't surprise too many people that the current 2017 Ram 1500 is the oldest design among the main contenders in the segment right now, and it has to be said that it really is starting to look its age. There are lots of things to take into consideration when choosing which truck to buy, but it's hard to think of anything more important than the right choice of engine and there are plenty of options here with these two rivals. There are three different engines in the 2017 Ram 1500 and an even more impressive four available powerplants with the 2017 Ford F-150. The standard engine in the Ram is a 3.6-liter V-6, and then there's a 5.7-liter V-8 and a 3.0-liter V-6 diesel to choose between. Although it's thoughtful of Ram to offer a diesel in its light-duty 1500, it's a very expensive upgrade and if buyers really need what a diesel provides they're probably more likely to go for a heavy-duty truck instead. We have to assume that if there was any sort of clamor for diesels in light-duty trucks then Ford would have offered one in the F-150 by now. Instead, the F-150 covers a wide range of capability with three gas V-6s and the one V-8 gas engine. The standard engine is a 3.5-liter naturally aspirated V-6 that develops 282 horsepower and 253 lb.-ft. of torque. Next up is a thoroughly modern 2.7-liter EcoBoost, and this one puts an impressive 325 horsepower and 375 lb.-ft. at your disposal. The ubiquitous 5.0-liter V-8 is next with its 385 horsepower and 387 lb.-ft., and then there's the real star of the show in the shape of the 375 horsepower and 470 lb.-ft., 3.5-liter, second-generation EcoBoost V-6. The engine choices mirror the exterior styling of these two trucks to be honest, with the Ford options being the contemporary alternatives to the somewhat retro powerplants in the Ram. It's incredibly hard to draw too many general comparisons between any two of today's pickup trucks as there are so many combinations of trims, engines, transmissions, cabs, beds, suspension sets up and who knows what else to consider. But if you look at the extremes of the ranges in isolation, there's more in the way of standard features and equipment in the F-150 than you find in the Ram 1500. For example, although both base models come with manual air-conditioning, you only have to go up a couple of trims in the F-150 lineup before dual-zone automatic climate control comes standard. But to get it in the Ram you either have to spring for the available Comfort Group package half way up the range, or go close to the highest trim before it eventually becomes standard. 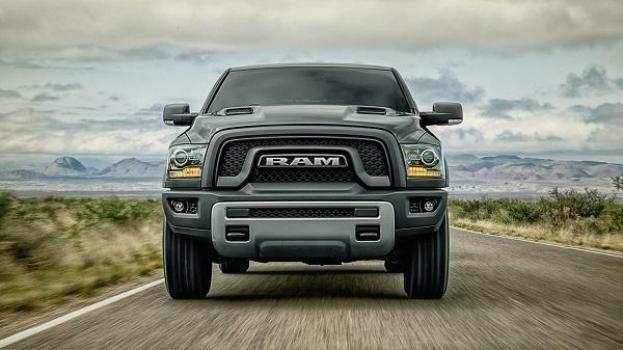 The most fuel efficient gas engine in the Ram is the 3.6-liter V-6 that's rated at 17 mpg in the city, 25 mpg on the highway and 20 mpg combined in rear-drive format. As most trucks are likely to cover a lot of miles, the fact the 2.7-liter EcoBoost in the F-150 gets 19 mpg in the city, 26 mpg on the highway and 22 mpg combined makes it a much more economical choice. The diesel Ram 1500 is better, but it costs a lot more to buy, it will cost more to maintain and you will be paying more per gallon when you fuel up than you would with gas. It's not by chance that the F-Series are the biggest-selling vehicles in the country, and the radical re-engineering of 2015 for the F-150 has only propelled it even further ahead of many of its rivals than it was already. The Ram 1500 is a good truck, but in this case it's going up against the very best in the segment so there was only ever going to be one winner. If you want a new full-size light-duty truck, you're not going to find better than the 2017 Ford F-150.